DoWeDo (Ningbo) FASTENER Co.,Ltd. warrants that the products furnished shall substantially conform to the relevant industry standards in effect at the time of order acceptance. The foregoing warranties shall not apply if the products have been subject to abuse, misuse, negligence, accident, reuse, or modification. 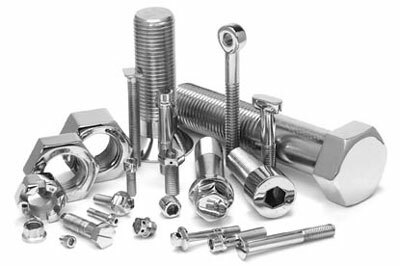 However, no warranty of suitability for any particular purpose, nor any representation of warranty, whether express or implied, is made respecting said products or the production thereof, and in no event shall DoWeDo (Ningbo) FASTENER Co.,Ltd. be liable for damages, including but not limited to incidental, special, consequential, or other damages arising out of or in connection with the uses of the products even if DoWeDo (Ningbo) FASTENER Co.,Ltd. has been advised of the possibility of any such damages. DoWeDo (Ningbo) FASTENER Co.,Ltd. will replace, at the delivery point specified on the face hereof, any product furnished hereunder that is found to be defective or otherwise fails to conform, or at DOWEDO FASTENER’s option, it will repay the price paid for such product, plus any transportation charges paid by the purchaser. Claims must be made within 30 days following delivery of the product to purchaser and DOWEDO FASTENER must be given a reasonable opportunity to investigate the cause of the claim. DOWEDO FASTENER accepts no liability for charges for sorting or rework performed by or for the purchaser without prior written permission of DOWEDO FASTENER. Purchaser’s exclusive remedy for the failure of DOWEDO FASTENER to furnish conforming products or to any warranty is expressly limited to the replacement or repayment as provided for above and boltnuts.net shall not be liable to purchaser or anyone else for any other claims or damages, whether direct or indirect, consequential, or incidental. DoWeDo (Ningbo) FASTENER Co.,Ltd. liability for any other breach of this contract shall be limited to the difference between the delivered price and the market prices of such goods at purchaser’s destination at the time of such breach.